These St. Patrick’s Day pancakes with a fruit rainbow will be the perfect breakfast to start your St. Patrick’s Day. Enjoy them as you try to trap a leprechaun. Are you planning a Superbowl party this year? 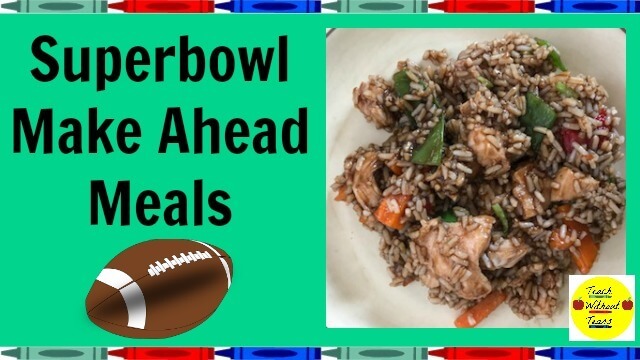 These Superbowl make ahead meals will help you put dinner on the table quickly and still have time to clean and decorate. Plus discover some delicious snacks and desserts for your Superbowl party! The weather is cold, and we’ve been having lots of snow days. 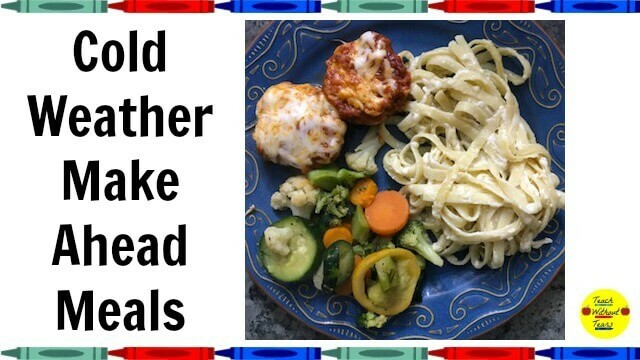 I need easy meals for when I get home from teaching. 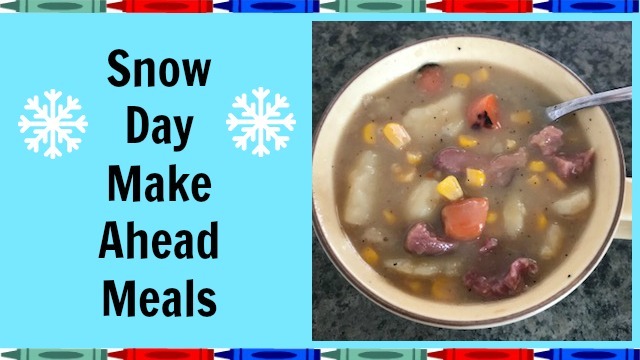 These snow day make ahead meals are fast and delicious! You get home from a long day teaching, and you’re faced with the daunting task of making dinner. That doesn’t have to be a problem anymore. Prepare these cold weather make ahead meals over the weekend, and have a fully stocked refrigerator for the workweek ahead. Do you want some healthy snacks for school? 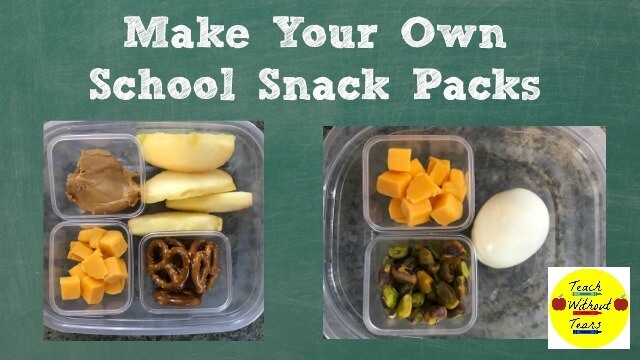 Make your own snack packs to save money and eat healthy when you’re short on time.